It’s a sad fact that car accidents are a regular part of life in West Palm Beach. But the stress and pain that goes with them doesn’t have to be. Whether it’s a fender bender or a serious accident involving fatalities, a mountain of paperwork and case management is in your future - or ours. 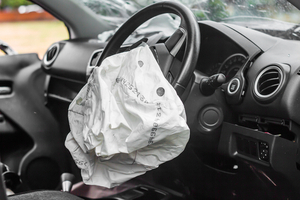 The West Palm Beach car accident lawyers at the Wolfson Law Firm are here to help. We can shoulder that paperwork for you, managing the casework that prevents you from getting back on your feet after a serious car accident. Since 1963 - that’s over 55 years ago - we have been serving the greater West Palm Beach community by aiding in the representation and management of slip and fall accidents, Uber and Lyft accidents, motorcycle accidents, wrongful death claims, truck accidents and pedestrian accidents. Education and Qualifications. If you can’t find it, and they won’t provide it, look somewhere else. Experience. You don’t want to be a firm’s first case. Let them learn the business with someone else, or else the mistakes are going to mount. Case handler? Some firms will assign case workers or paralegals. You’re looking for the best car accident lawyer. Not the best paralegal. Are they prepared to go to trial if necessary? Do they refer cases to trial attorneys? It’s important to know if they will see your cases through to a jury verdict or a settlement. Where did they come from? Did a stranger refer them to you? That’s a bad thing - and it’s also illegal in West Palm Beach. People like these are called “runners”, and they try to get you to sign onto unethical lawyers and biased medical providers. Look for good references from friends and family members who have had good experiences. Research their public image. Google them. Look at what clients have said. Often you will find important information about a lawyer and law firm you are considering that you couldn’t find anywhere else. This is not intended to be an exhaustive list. Use your instincts when looking for a law firm or lawyer. Check out their website. Ask for references. Get to know the lawyer – be careful and comfortable in making your choice. The Wolfson Law Firm’s website is filled with resources for your information. We consider it part of our duties to serve our community and we do this in part with detailed and free information. We not only provide free consultations following an accident, but we also make ourselves available to answer questions concerning insurance, accidents and legal issues concerning personal injury law in Florida. Giving us a direct call at (855) 982-2067 will allow you to speak with an attorney right away, consulting you directly as to how well your case stands. They can meet you at our offices in Fort Lauderdale, West Palm Beach, Miami, Fort Myers or somewhere more convenient for you, such as your home or workplace. When it comes to personal injuries sustained during a car accident, the lawyers at the Wolfson Law Firm are determined to ensure you get quality service, and information that will help you understand the process that we take. We will fight to make sure you’ve given the compensation you deserve by going after the responsible party in your accident. Mr. Jonah Wolfson, the managing attorney of Wolfson Law Firm is prepared with his personal injury legal team to tackle any challenges you may be facing. He is a bilingual personal injury and wrongful death attorney here to serve the West Palm Beach community. One phone call to our toll-free number for a free consultation is all that is required of you. Contact us at (855) 982-2067 to speak to an attorney today.